Lexus is a global luxury automotive brand popularly known for its elite class urban futuristic design cars all over the world. It always strives hard to produce vehicles with all new varieties and distinctive technological features. For the year 2018, Lexus is coming up with some unusual surprising plans to visualize a unique concept of a crossover sports utility vehicle which will take the market by storm. This splendid piece of SUV will be designed at Toyota Calty Design Research Studios located in Southern California and will soon be publicly launched at the Detroit auto show. This will be a flagship crossover SUV which will redefine the boundaries of luxury and performance. 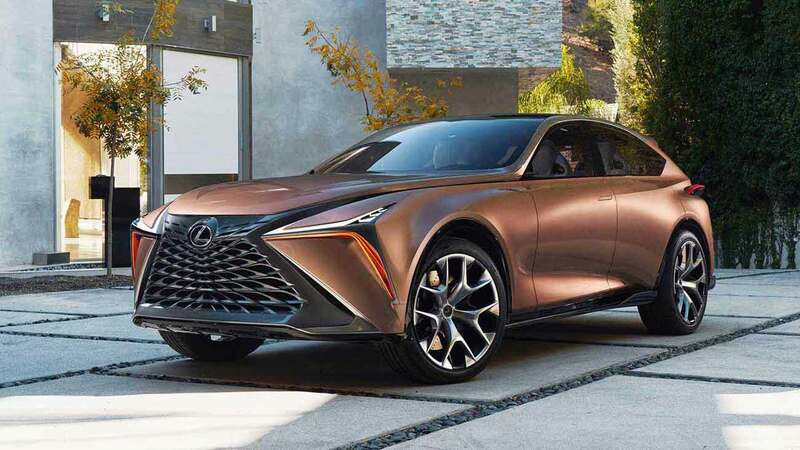 It will be manufactured with an ultra-modern innovative sleek shine robust exterior body structure composed of trendy curves and angles built on a new modular GA-L architecture and named as LF1 limitless concept crossover. The front side design will feature aggressive tone headlights, LED Daytime running lights (DRL), and front bumper. The backside will give a striking bold impression to customers by a true blend of curvy LED taillights, rear spoiler brake light, and a rear side bumper body. It will be a sporty concept LF1 Crossover SUV will give add a tremendous appeal with its dazzling appearance to exhibit a strong valuable reputation with a sheer touch of sophistication. The interior seating design cabin will offer an exquisite appeal with a touch of comfort and luxury for customers. The rear side trunk will possess increased cargo loading storage capacity attached with a swinging open tailgate. Moreover, the front side dashboard cockpit panel will give an outclass contemporary look and will be perfectly equipped with all kinds of advanced technological utility and safety driving features to have a pleasurable on-road as well as all-terrain 4WD Off-road journey experience. This next generation concept crossover SUV will bring a true sense of revolution in the future SUV Design of Lexus to create all modern innovative sporty vehicles in a creative sense for customers with much appreciation and demand in coming months.